In the following tutorial, you will learn how to create a simple map icon vector in Adobe Illustrator. Using basic tools, effects and techniques, you will learn how to create and personalize a map icon vector of your very own! Last up for Vectip's Texture Week is wood grain. It uses the same Graphic Pen effect but stretched a little more. It also uses the Warp Tool and Twirl Tool. Also like the other texture tutorials, this technique is easy and applicable in logos, icons, interfaces or pretty much anything. A long time ago, in a studio far, far away... Adobe Illustrator 1 was born. Twenty-one new versions and a quick THIRTY years later, Adobe Illustrator is the most popular vector graphic editor on the market. To all those out there who spend more time working in Illustrator than any other software program, then sit back and relax. Go grab a cup of coffee and put your feet up as we take a stroll down memory lane to reminisce the evolution of Adobe Illustrator. Announcing: More Options With Eezy Premium! Who doesn’t love options? We all like different things and have different needs, so instead of a one-size-fits-all approach, more options allow us to find the solution that best fit our needs. 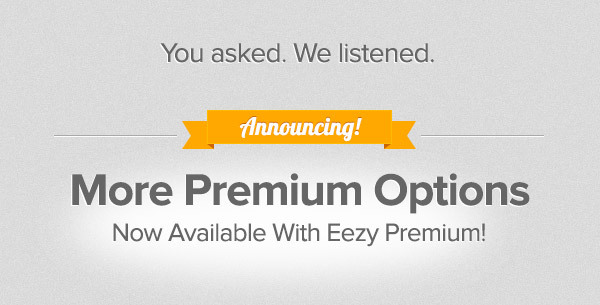 So when we saw you all needed more options with Eezy Premium, we made the changes necessary to fit your needs. We’re excited to announce that we’ve just launched an updated version of Eezy Premium which now offers you more options than ever before! If you’re looking to quickly and easily pull together a posh design piece, we’ve got just the trick! 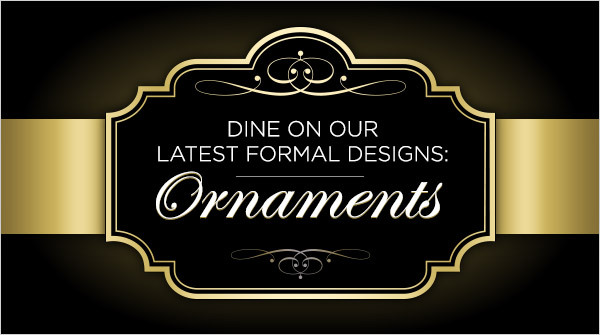 Vector ornaments can instantly add a touch of class and richness to promote the quality of your work instantly. Inspired by the Victorian-era, these designs are always intricate and possess a soft, feminine feel. This rich style is conveyed through the use of swirls, flowing florals, and beautiful borders often present in this type of elegant design, so if you’re creating a design for something a bit more on the formal side, vector ornaments can pull your delicate design together.